(i) For online payment through debit/credit cards: Convenience fee 1% of the examination fee subject to a minimum of Rs. 5/- (Rupees Five) only plus 18% G.S.T. on convenience fee. (ii) For online payment through net banking: Convenience fee of Rs. 5/- (Rupees Five) only plus 18% G.S.T. on convenience fee. (iii) For offline payment through bank counter: Service Charge of Rs. 20/- (Rupees Twenty) only. S.C./S.T. 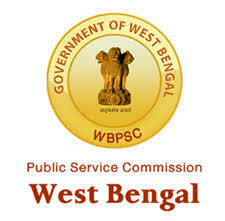 candidates of West Bengal and Persons with disabilities (P.W.D.) having physical disability of 40% and above are not required to pay any fee. BC candidates of West Bengal are, however, required to pay usual fee as aforesaid. NO EXEMPTION OF FEE IS AVAILABLE TO S.C./S.T. CANDIDATES OF OTHER STATES. No claim for refund of the fee will be entertained nor will it be held in reserve for any other examination. Filling up of online application will be commencing from: The 19th February, 2018.